Credit Union of Georgia has six branches in Georgia, as well as thousands of shared branches and surcharge-free ATMs nationwide through their CO-OP network. Their small business offerings include business savings and checking accounts, lending, financial planning, insurance, and investment solutions. They have an A+ Better Business Bureau rating and a mix of positive and negative reviews online. 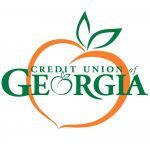 You may be eligible to join Credit Union of Georgia based on your employer, school, geographic location, membership in a group and/or family, or if you meet any of these requirements. Credit Union of Georgia has six branches in Georgia. They also offer their members access to thousands of shared branches and ATMs nationwide through their CO-OP network. You can use their branch locator to see which locations are closest to you. Credit Union of Georgia also offers the following business services: business savings and money market accounts, credit cards, business loans, lines of credits, and commercial real estate financing. They currently do not offer SBA loans and wealth management. Find out more about their small business offerings on their website.